The digital coach, named Beacon, will be used to respond to popular student enquiries, as well as building deeper relationships with students in order to identify at-risk or unhappy individuals. The AI function will then be able to provide tailored support and guidance to each student’s particular questions and concerns. Students will have access to the digital coach from their phones, and can interact via text or voice command. The majority of students have a strong preference for on-demand, instant responses to queries, according to Andrew Proctor, director of digital services at Staffordshire University. Wellbeing has been linked to positive academic achievement and it is the goal of the university to ensure every student has what they need to have a fulfilling university experience, said Proctor. Ultimately, our goal is to ensure every student has the support and coaching they need to enjoy university life and achieve their full potential. The impact of AI on education has been widely reported, with 2019 being cited as the year that AI hits the mainstream. 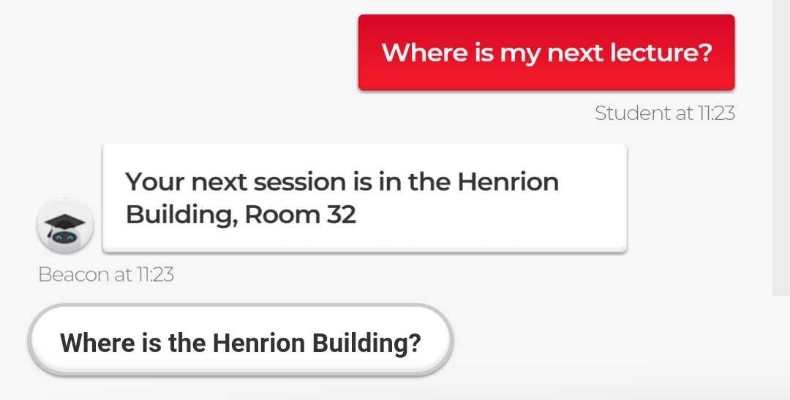 Cloud services provider ANS Group have joined Staffordshire University in rolling out Beacon, and are confident in AI’s longstanding future in education.